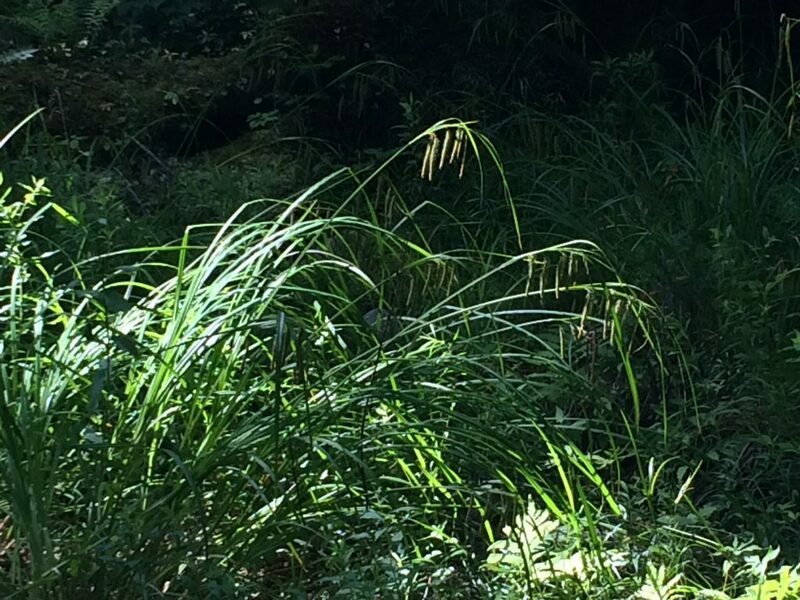 Carex crinita is a robust perennial sedge, 40 cm to 1.6 m tall, stems clumped, sharply 3-sided, rough-textured. Leaves alternate, blades about 1 cm wide, flat, rough textured, basal leaves with sheaths only, bladeless, leaves of upper stem few, shorter than flowering stem, bracts below inflorescence, long, leaf-like but sheathless, 20 to 55 cm long. 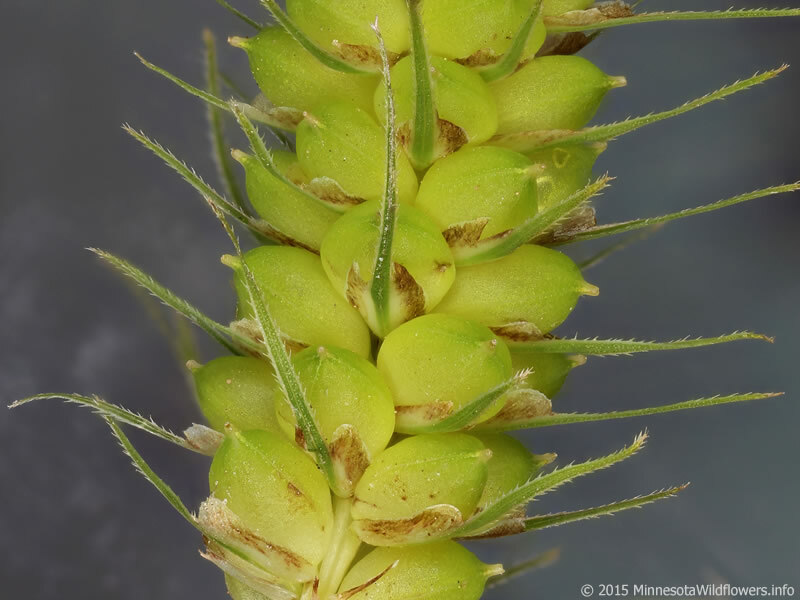 Carex crinita fruit close-up. © 2015 MinnesotaWildflowers.info (Accessed 12/2017). 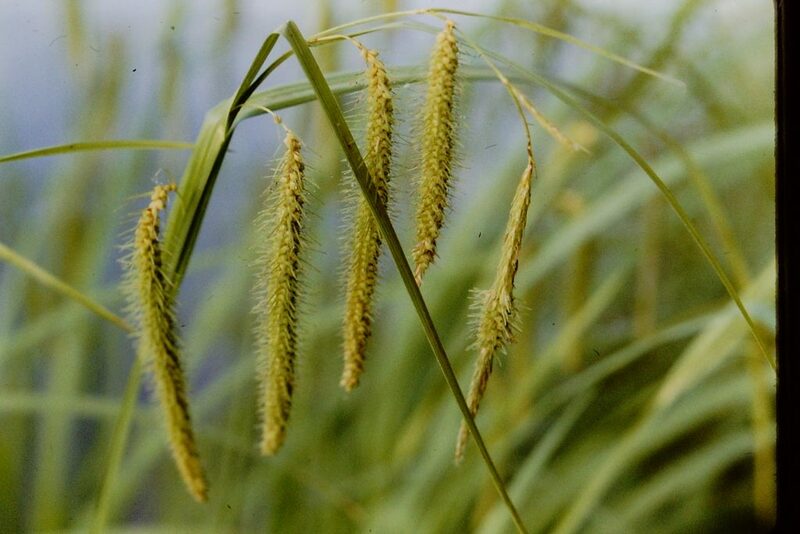 Flowers dry, tiny, monoecious, male spikes about 6 cm, at top of flowering stem, female spikes 3-6, 1-10 cm long, cylindrical, drooping and often curved, on short thin stalks, scales with prolonged awn giving the spike a bristly appearance, perigynia 0.2-0.4 cm, rounded; achenes flattened; blooms and fruits June-July. Habitat: Open swamp forests, pond edges, marshes, vernal ponds, soil pH 4-7.5, tolerant of anaerobic soil, moderately tolerant of shade, intolerant of fire, salt, and drought (USDA, NRCS 2010).